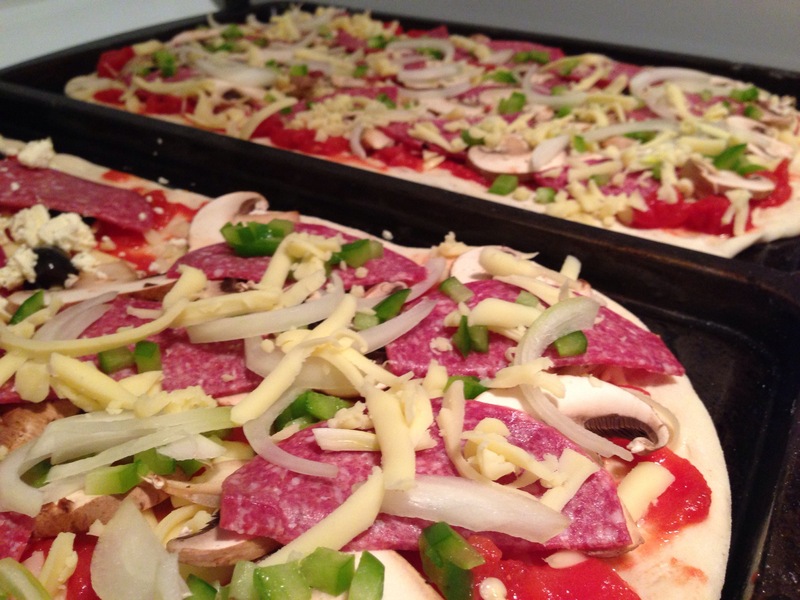 So here is something quick & easy you can throw together and tastes great! 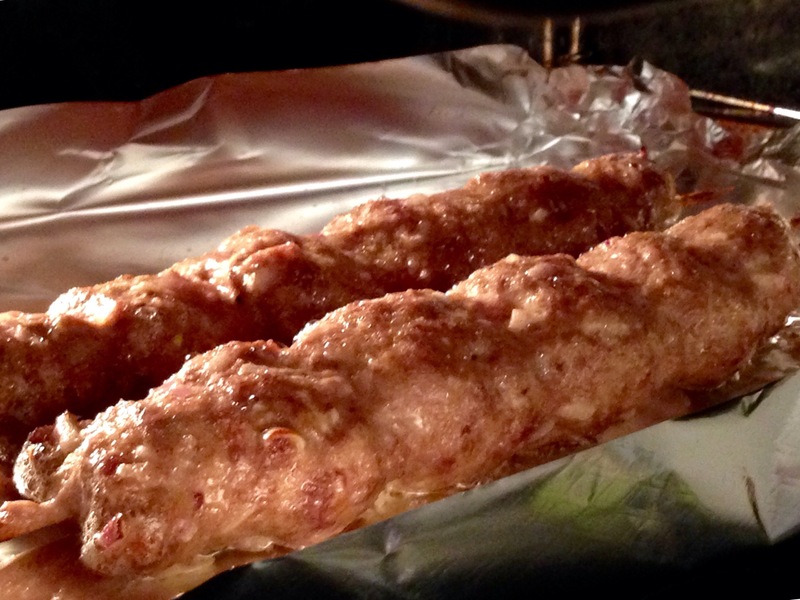 4 skewers soaking in water, then for your pita…. 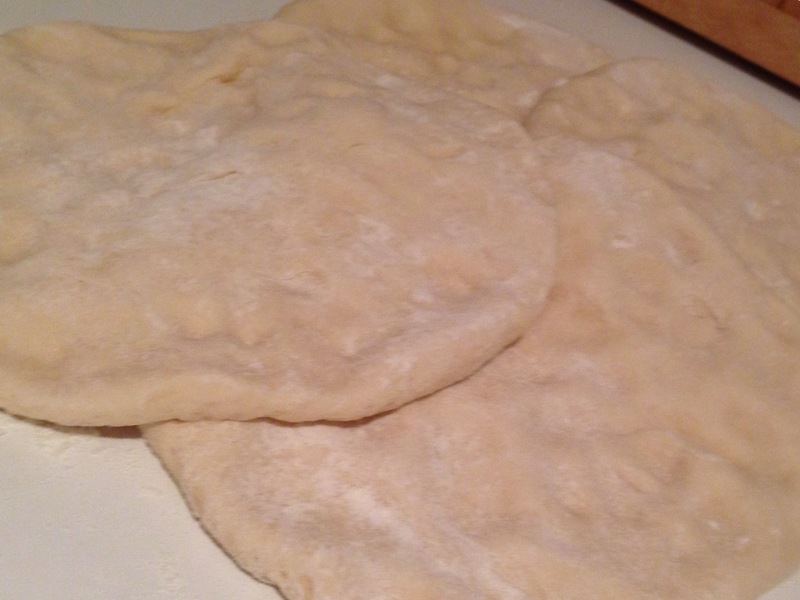 1/2 cup warm water, mix 1 teaspoon of active dry yeast and a pinch of sugar…..mix well! In a bowl sieve 1 1/2 cup of bakers flour, 1 teaspoon salt and make a well. 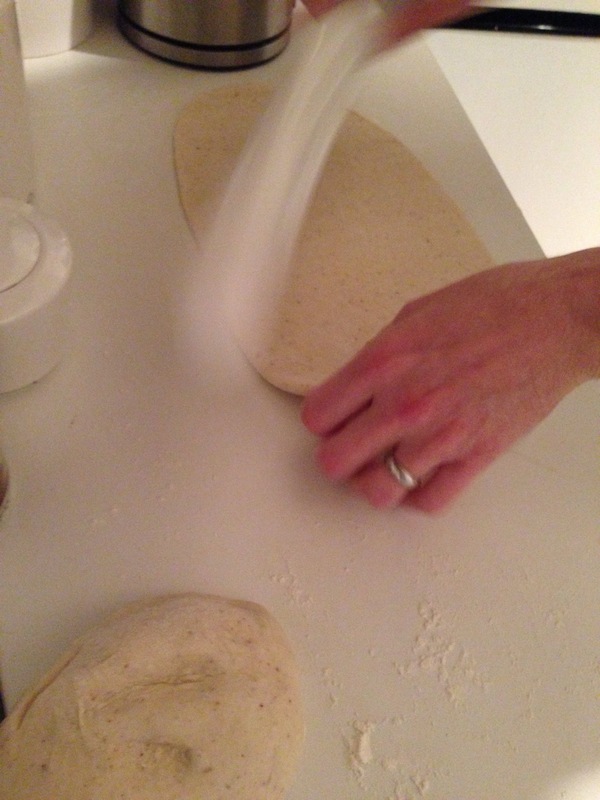 Add the water yeast mix and bring all of the ingredients with your fingertips. Turn out on to a work surface and knead for 5 minutes. 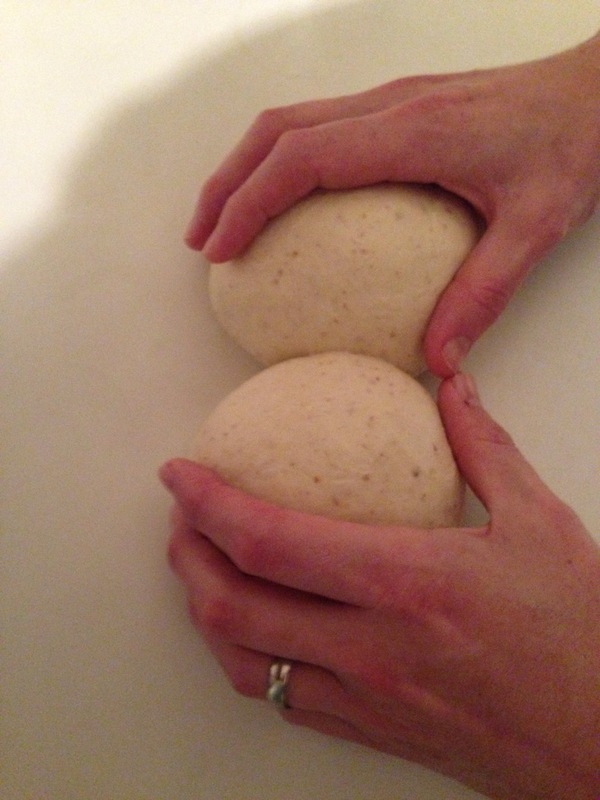 Your dough will be elasticated and smooth! 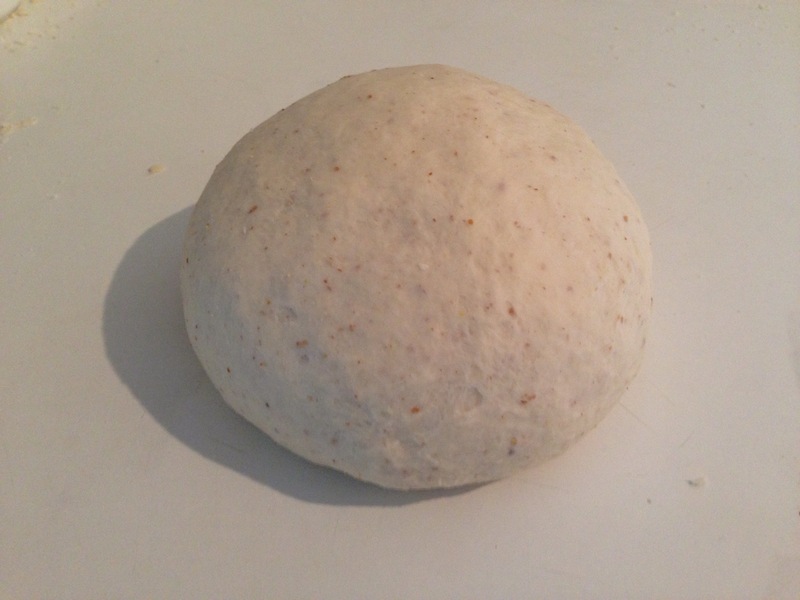 Place in a oiled bowl and put somewhere where it is warm….you want it to double in size! 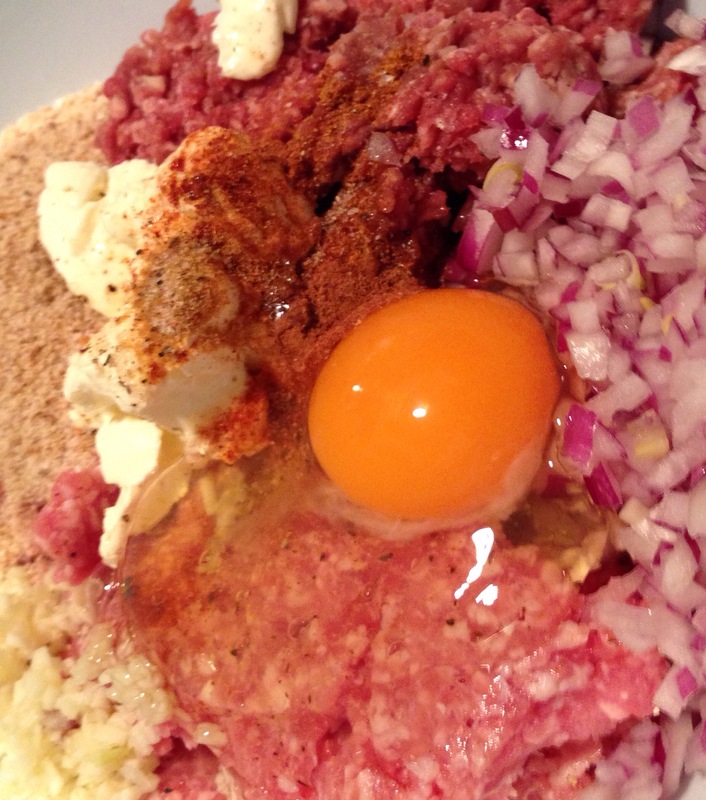 Season well and give the meat a very good mix! Place 2 baking trays in your oven, very lightly greased! Roll out to 3 mm thick…. 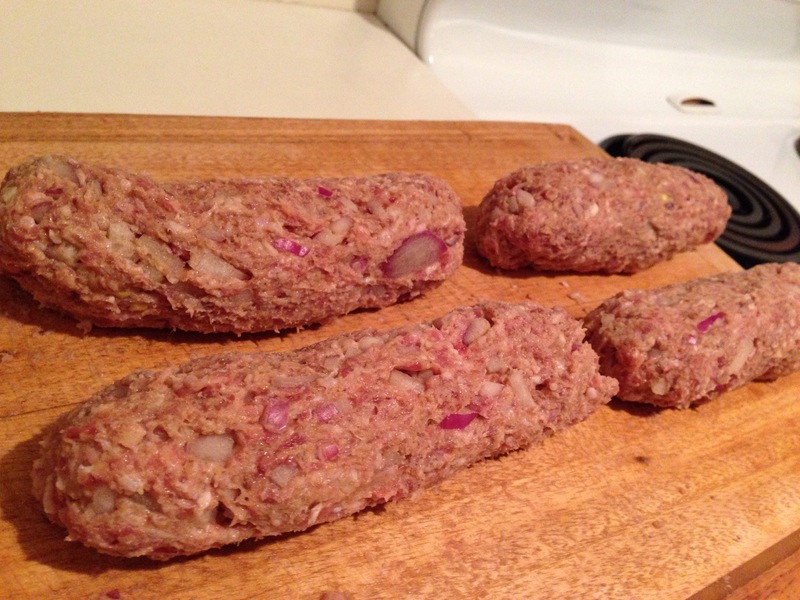 Carefully place them on your preheated trays! They will not take long, 1 minute on one side…they will puff up….then a couple on the other side! Keep under a tea towel , so they do not dry out. 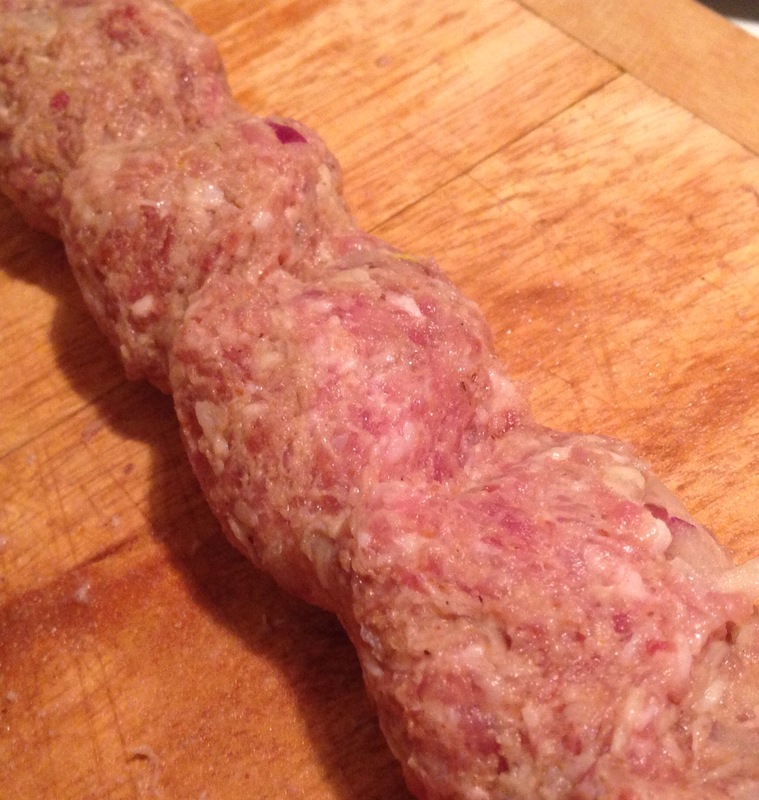 Cook your kebabs under a hot grill, around 3 minutes each side! 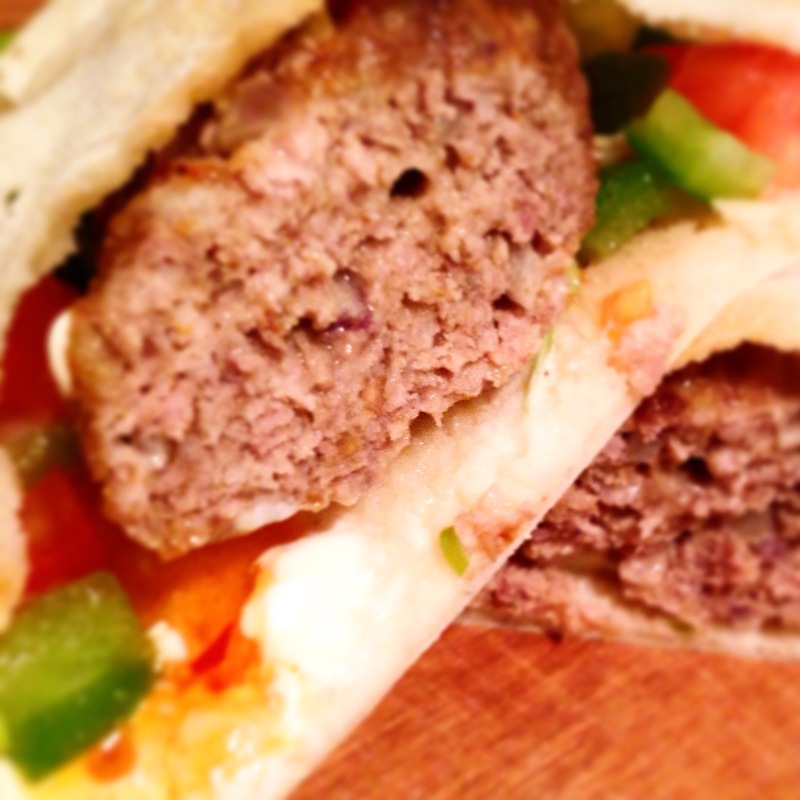 Open pita and place kebab inside! I had a little spring onion, tomato, capsicum and lime salad, sour cream and chilli sauce! Hey guys! How are you all? 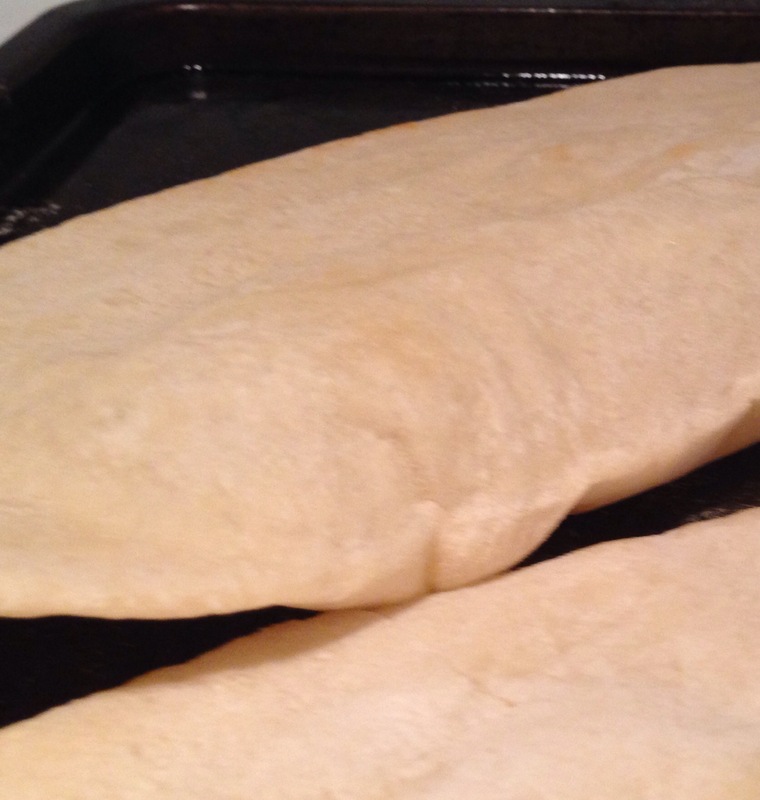 Tonight I cooked a tasty kebab……and homemade pita breads too! Was very tasty. Recipe to follow 😉 in a couple of days! 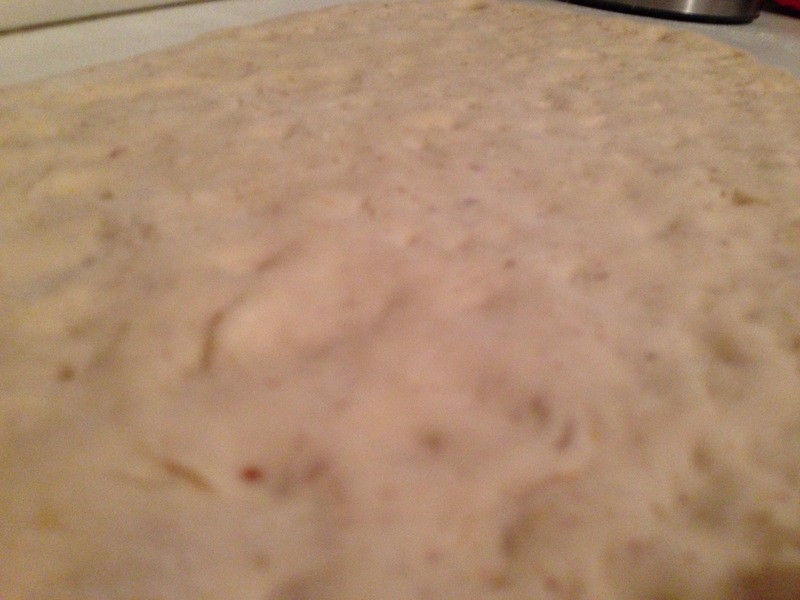 Add the yeast to the water and leave for a few minutes, add the olive oil, salt and sugar. 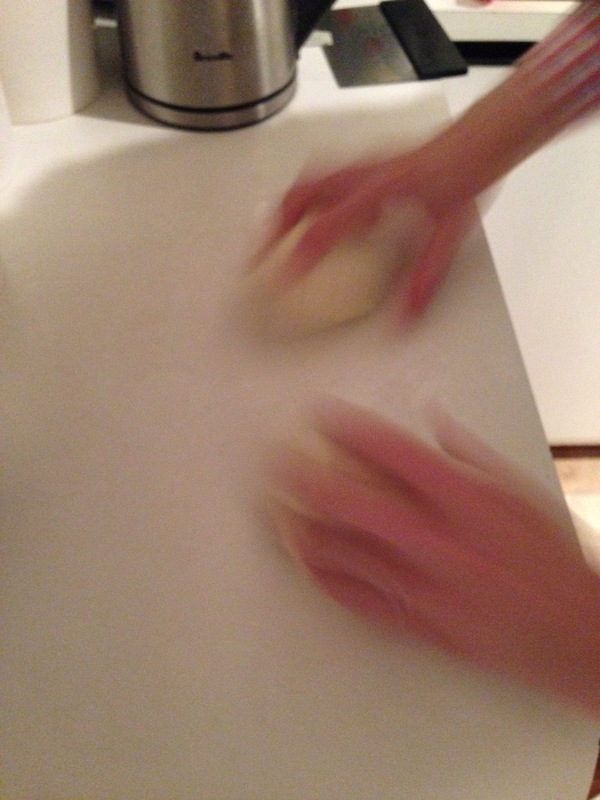 Give a quick whisk and pour into the flour. Mix by hand till the mixture comes together. 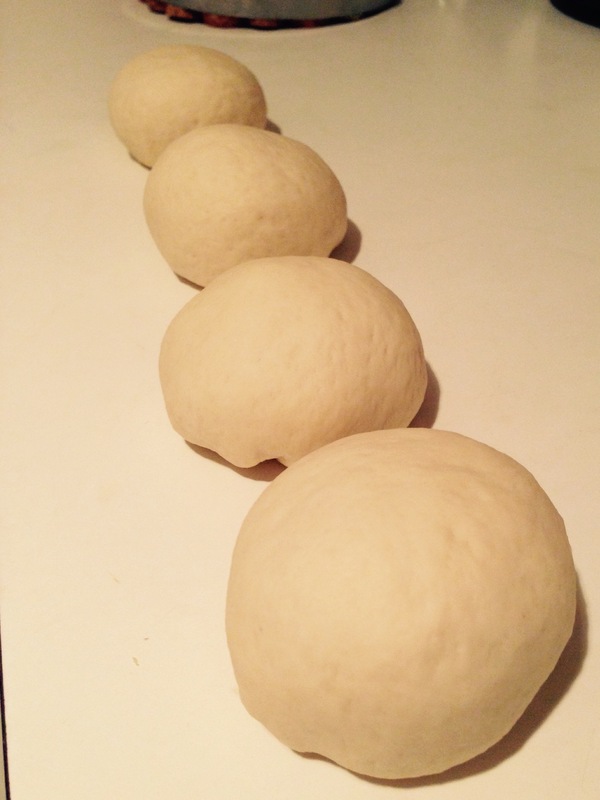 Turn out onto a work bench and kneed for a good 5 minutes….until a nice firm dough has formed! 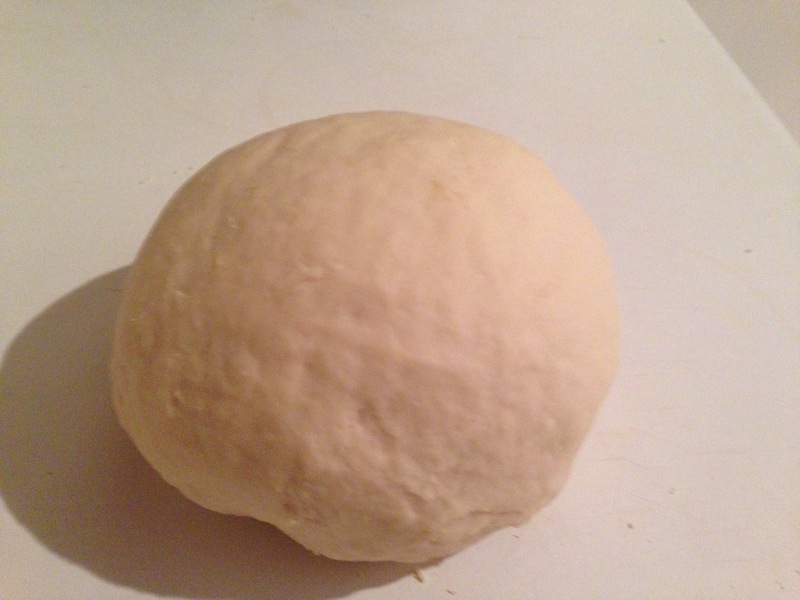 Place the dough on an oiled bowl, big enough for it to double in size, cover in glad wrap and place a warm place! Auckland was pretty chilly today, even the hot press wasn’t playing ball…..roll on summer! 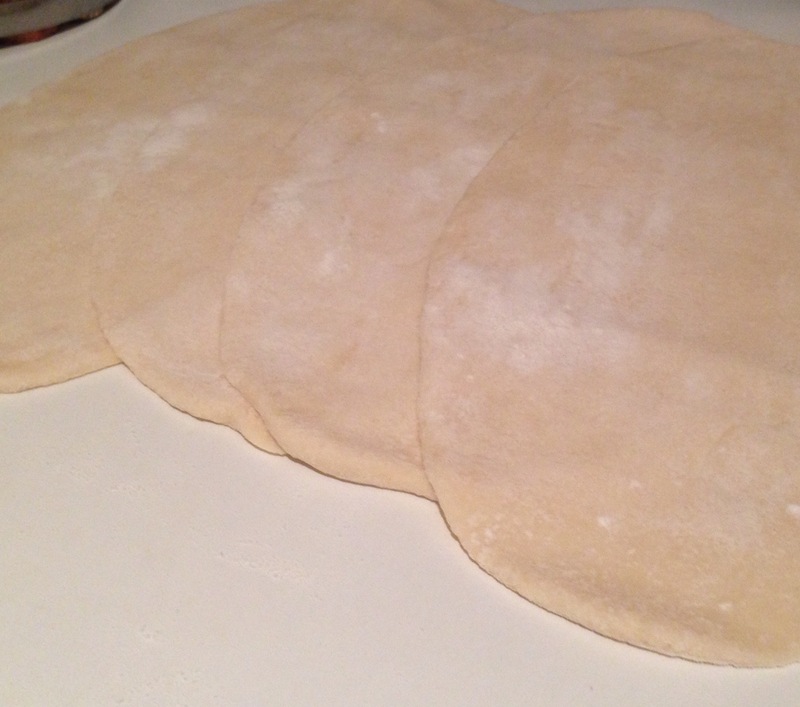 Roll out your dough to your required thickness, we like ours thin and crispy so rolled out to 4-5mm thick. Time to get your oven hot hot hot 220c , 200c if you are using a fan oven. 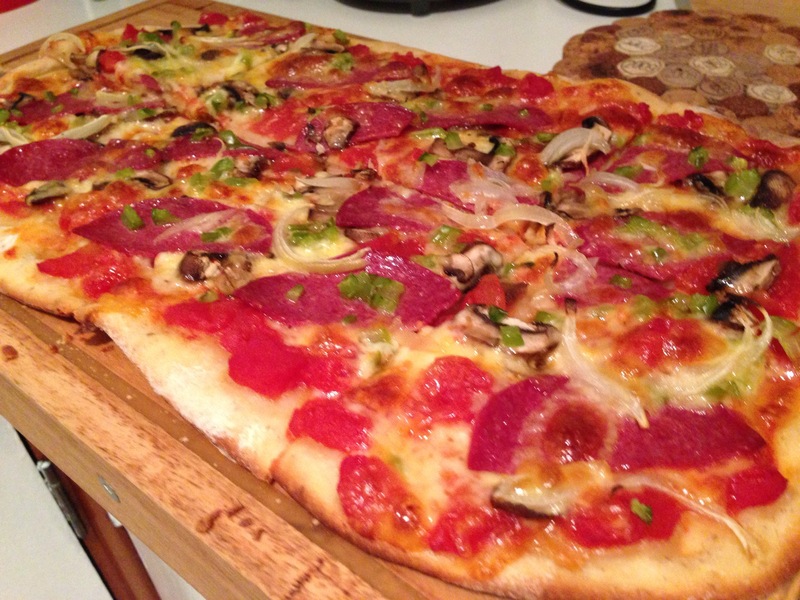 If your using a pizza stone, make sure you have your oven on and stone getting hot! Because we do not have a stone (roll on Christmas) Place on greased baking tray, we just used what we fancied as toppings, kept it nice and simple. 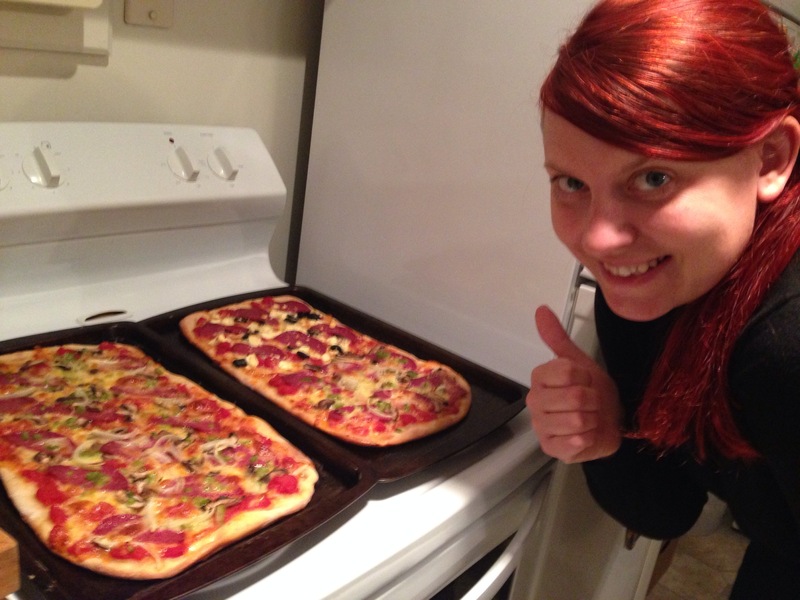 I think the most important thing is that you have a nice even spread of ingredients. Bake for 15-20mins until golden and bubbly!